A First Nations leader says it’s time to move on after a judicial investigation found Justice Patrick Smith violated the federal judges act when he accepted the position of interim dean at Lakehead University’s faculty of law last spring but are not taking action against him. “Somebody’s got to acknowledge the fact that I guess it’s not a mistake if they hired him on an interim but we’ve got to move on,” Chief Donny Morris of Kitchenuhmaykoosib Inninuwug said. In 2008, Smith sentenced Chief Donny Morris to six months in jail for contempt of court. 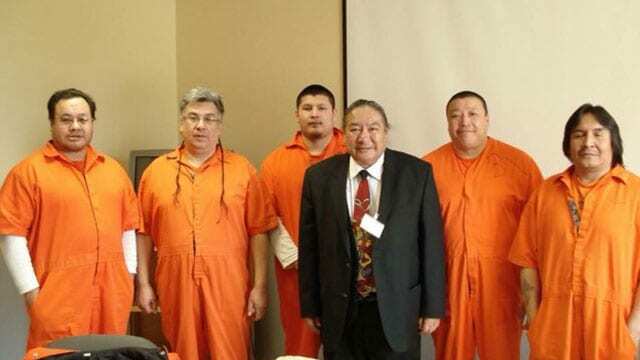 Morris is one member of a group labelled the “KI 6” – a group of leaders from Kitchenuhmaykoosib Inninuwug who were charged after they refused to let the mining company Platinex Inc. access their traditional territory. 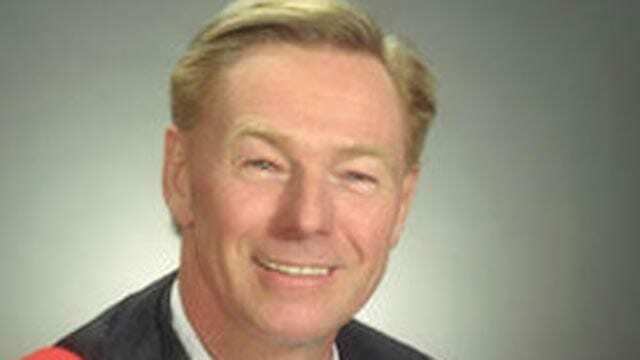 The Canadian Judicial Council, which is mandated to investigate complaints involving federally-appointed judges, raised concerns over Smith’s appointment last May, a month before he started his position at the university. Under the federal Judges Act, judges aren’t allowed to engage in extra-judicial activities. By the end of August, the judicial council found the matter to be serious enough and sent it to a judicial conduct panel review to investigate. Smith resigned as interim dean shortly afterwards, two months before his term was up. 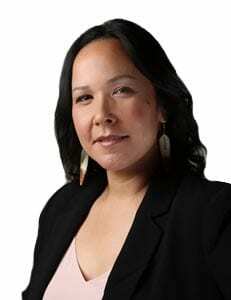 According to the panel review report released this week, Smith was contacted by Lakehead’s Acting President Moira McPherson in April, not long after the former dean Angelique EagleWoman announced her resignation over allegations of systemic racism at the university. By the end of April, Smith got the go-ahead to take on the role of interim dean with no concerns from Chief Justice Heather Smith and the Minister of Justice, the report stated. While Smith’s interim appointment was approved with several conditions and he felt he was serving in the best interests of a law school in crisis, the judicial council’s concern was the matter of public controversy his appointment could have and potential impact to judicial office. The review panel agreed, calling Smith’s decision to accept the position “ill-advised” because of his ethical obligation as a judge to avoid “involvement in controversy or public debate”. They said Smith accepted the offer at a time of extensive media coverage. “Those articles and broadcasts highlighted the issues, controversies, and potential controversies associated with the former Dean’s resignation and with Justice Smith’s appointment,” the report states. After EagleWoman’s public resignation, First Nations leaders said appointing Smith as her temporary replacement was a slap in the face. Morris said his appointment didn’t sit well with him at the time. In a letter dated May 23, Morris informed acting president at the time, Moira McPherson, that they had removed boxes of historic material including maps and audio and video tapes of interviews with elders, which they had been storing at the university for safe-keeping. “We no longer wish to have any connection with Lakehead University,” the letter states. Morris said he never received a response from McPherson who was recently appointed the university’s seventh president and vice-chancellor. The Bora Laskin Faculty of Law first opened its doors in 2013. According to its website, the faculty has three mandates including Aboriginal and Indigenous law, natural resources and environmental law, and small town practices. The faculty’s Aboriginal advisory committee and Indigenous leaders have said the school wouldn’t exist without its Indigenous mandate and support from Indigenous groups and communities. They stood by EagleWoman during her public resignation and called on the university to hire an Indigenous scholar to replace her. They also said there was a need for more Indigenous scholars to deliver Indigenous course content. Morris agrees the university should be looking to fill the dean position with an Indigenous person. Morris said First Nations leaders need to be fostering relationships with high schools, colleges and universities. He said his community has begun working with high schools from Thunder Bay. “At the end of the day some of our members are going to go to these places and we need the best place,” he said. About thirteen per cent of students enrolled at the law school last year identified as Indigenous. The Canadian Judicial Council has now closed the matter against Smith and Lakehead University says they are on schedule for hiring the new dean.